Welcome all you travelers seeking more than the world’s answers! First, I want to let everyone know that today starts the WLC Christian Book Launch featuring our own Karen Baney and 9 of her author friends (including Staci Stallings, Naty C. Matos, Linda Yezak, Sarah Witenhafer and today’s special guest, Matt Patterson!). So please feel free to visit and check out the books. Buy 3, Get 1 Free! All 99 Cents! Tell us a little ab out yourself beyond who you are as a writer. I was born and raised in Baltimore, Maryland – youngest of two children. I have been married to my wife, Bonnie, for 26-plus years. We’ve had three daughters – Emily, Lauren and Kimberly. We’ve called Arizona our home for nearly a decade now. I’m a huge baseball and college football fan. I also love a good movie. I love sports, television and movie trivia. I’m a fan of food as well. I love Maryland steamed crabs or crab soup! It they’re not readily accessible, a really good, back-home cheesesteak or cheeseburger sub with loads of hot peppers and grilled onions. Sorry. I don’t think I could do crab though the cheeseburger sounds delicish! We’d love to know… how did you come to be a Christian writer? Approximately two years ago I went to a writing class at my church with the specific intention of turning an old newspaper column about the life and death of my daughter Emily into a book. I’ve always felt I had reasonably strong communication skills. My background includes two decades of public and media relations experience, as well as print and broadcast journalism. At the time of the class, I considered myself a “Baby Christian.” I was a recent convert to Christianity from Mormonism. I now look back, 20 years after Emily’s passing, and realize why it took so long for this book to come forth. Prior to Christianity, I lived my life on my timetable. This book was important and special to me, but it only came about because of God’s timing. Not mine. God’s timing is so important in everything. What has been your greatest challenge in life so far? How did you handle it? I can easily say handling the loss of our daughter Emily has been the greatest challenge (and blessing) in my life thus far. I believe by writing My Emily, it helped me express the many emotions associated with the loss of a child. I continue to handle it by trying to help others by sharing her story. 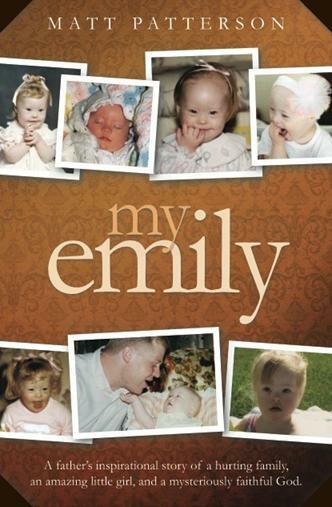 When someone buys a copy of My Emily (paperback or ebook), their purchase will have a purpose. A portion of the proceeds from the book will go to The My Emily Foundation, which will assist families with special needs children, those battling pediatric cancers, as well as parents who are grieving the loss of a child. What a wonderful, giving way to keep her memory alive. I think it’s so important to use our hurts to help each other. So when you’re not writing, what do you like to read? What are some of your favorites that you have read? I’m a big Mitch Albom fan. 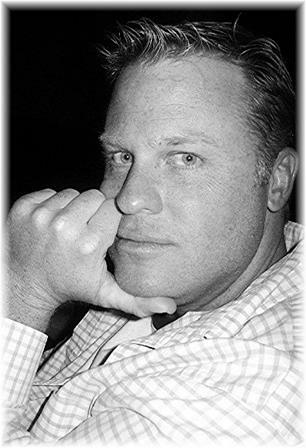 Long before he began writing a pair of my favorites – Tuesdays With Morrie and Have A Little Faith – he was (and still is) a sports columnist with The Detroit Free Press. He put out compilations of his columns and he just “spoke” to me. He’s the type of person you could sit down with, have a coffee or Diet Coke, and allow him to tell you his story. Mitch Albom is such a great story teller. When I grow up, I want to be Mitch Albom. 🙂 Isn’t it so funny how we feel like that? “When I grow up…” 🙂 Can you tell us if there is a quote or saying you live by? Where did it come from? Why does it speak to you so deeply? These words of wisdom come from the late Hall of Fame baseball manager Sparky Anderson. Some may look at this quote and think that it’s not all that dramatic or eloquent. It’s simple and it speaks to me. I realize I have so many shortcomings. Despite my downfalls, I truly try each and every day to genuinely be nice to everyone I cross paths with. Simple words like, “thank you” can mean the world to someone. Take 30 seconds and pay someone a genuine compliment. Tell them you appreciate them. Not only will you bring a smile to their face, I believe you’ll pop a grin yourself. Amazingly simple. Amazingly hard to do. What are you working on right now, Matt? In addition to moving the My Emily effort forward, future works include two books. The first will tell of the lessons learned being at the bedside of my mother for the last five weeks of her life. The second will detail the story of my conversion from Mormonism to Christianity. I’m sure others want to find out more about you and your writing. Where can readers find you on the ‘net? Thanks so much for stopping over at the G&F, Matt. We’d love to have you again sometime! Special Announcement: Book Launch Party!